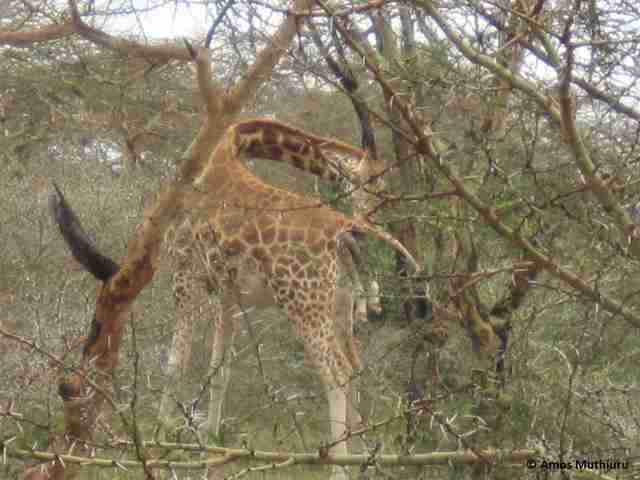 Amos Muthiuru was conducting research in Kenya when he and his team spotted something extraordinary: a pregnant giraffe who was readying to have a baby. 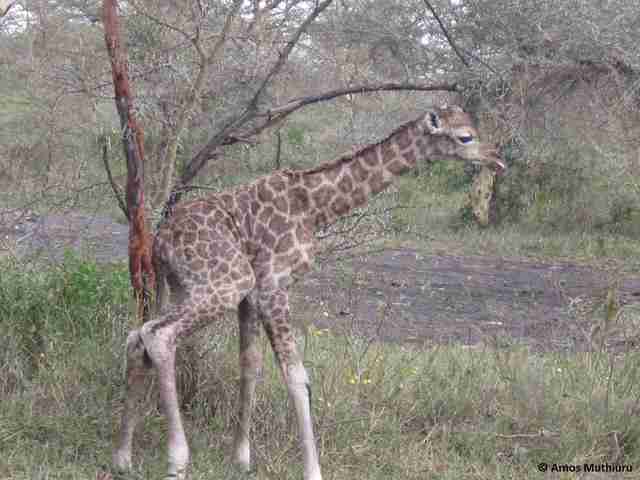 "There was no doubt [she was] going to give birth soon, as we could tell by her behaviour," Muthiuru, of the Rothschild's Giraffe Project (RGP), tells The Dodo. The team waited in a warthog den inside the Soysambu Conservancy. And watched. And four hours later "the baby dropped to the ground and a new life was born!" says Muthiuru. 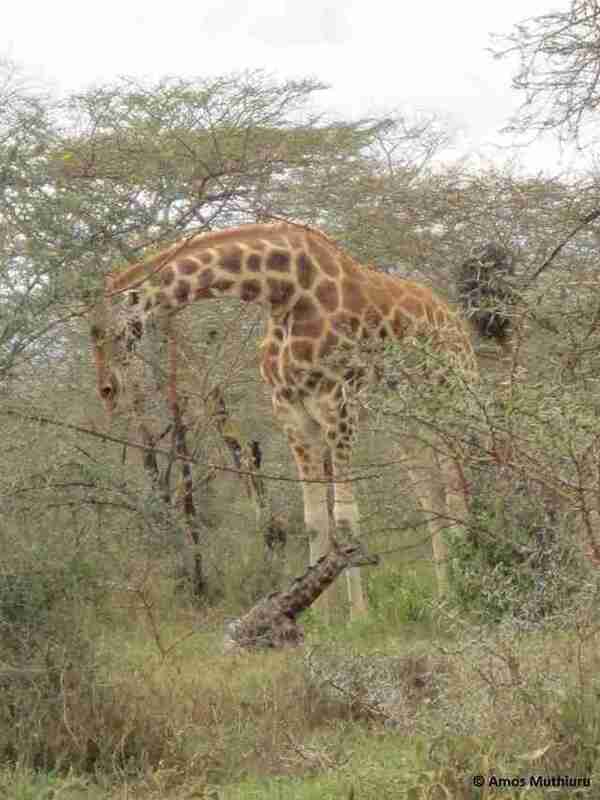 "The calf was up within moments and although unsteady on its feet at first," Muthiuru says of the encounter. But the newborn "was soon running around and suckling from mum." It's incredibly rare to watch a giraffe give birth in the wild - so rare, in fact, that Zoe Muller, founder of RGP, says that in her 10 years of research, she's never seen it happen. She's thrilled at the news. 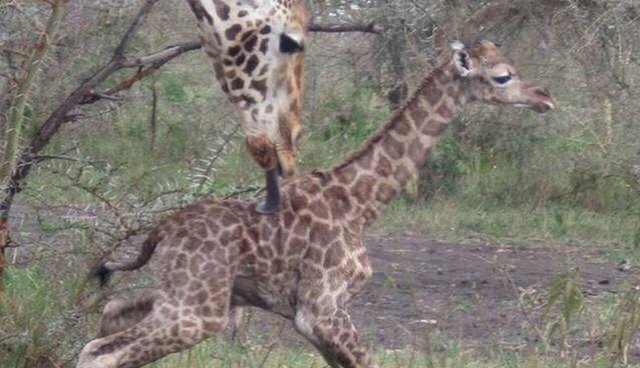 "This new giraffe calf has helped to increase the population of Rothschild's giraffes left in the wild, and we are hoping he will contribute to the future of the species in Africa," she tells The Dodo. There are fewer than 1,100 Rothschild's giraffe left in the wild, and it's the second most endangered giraffe species, says Muller. 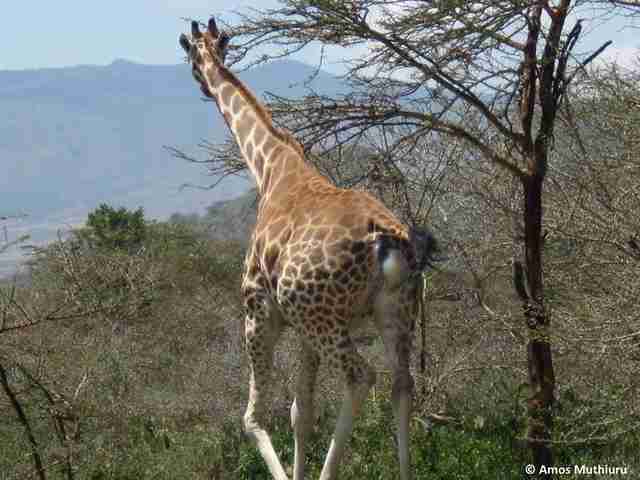 In fact, giraffes across Africa are in desperate conditions. According to recent research, population numbers are plummeting: Since 1998, there's been a 43 percent decline, with only 80,000 giraffes "patchily" roaming 21 African nations. As for the species' newest arrival, Muller says researchers won't know the baby's gender until the animal is least 3 months old. But so far, she says, "We are continually monitoring the mother and baby - and both are doing well." 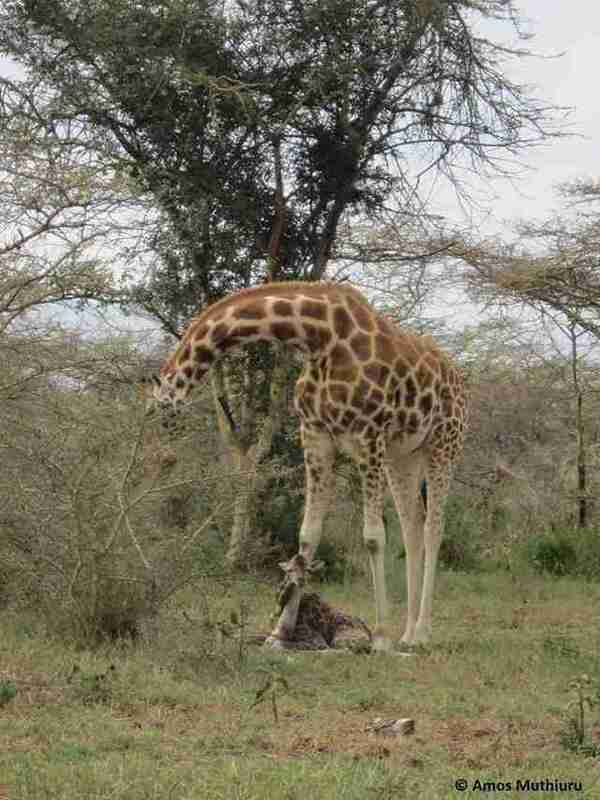 To support the Rothschild's Giraffe Project, go here.